Criteria: H3 Be associated with a nationally, regionally, or locally prominent person or organization; deceased 25 years. Details: Dominant gable front with shallower sloped roof, front entry porch with deep beam supported on heavy square unadorned brick columns with stone capped brick wall and balustrade, gable roof over, large overhanging eave with expressed rafters, brick base, stucco above. 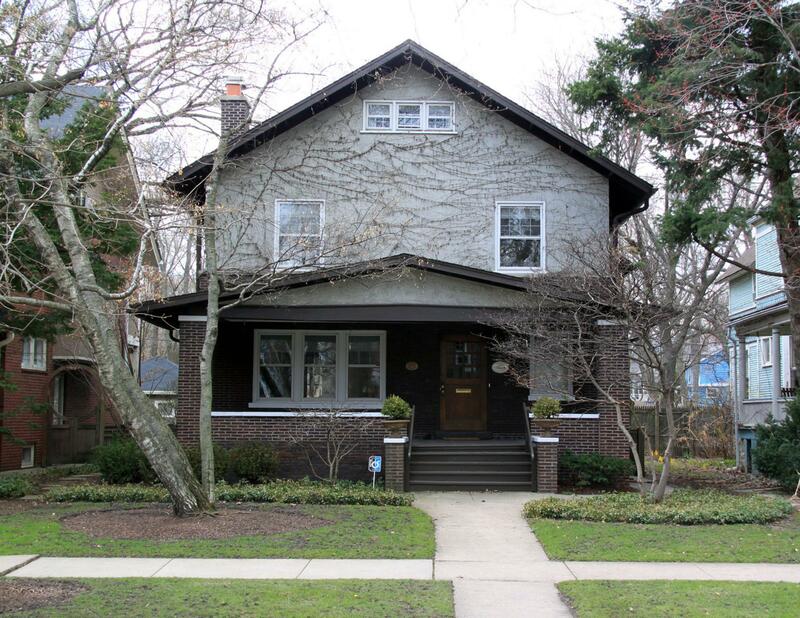 Historic Features: Gable-fronted, Arts and Crafts-influenced Craftsman house with full front porch with gable roof and brick pillars, bat window, wood window sills, large overhang on main gable roof with exposed rafters, urns on front hand rail up to porch, stucco exterior. Alterations: Replacement upper windows, retrofit storms on main floor.